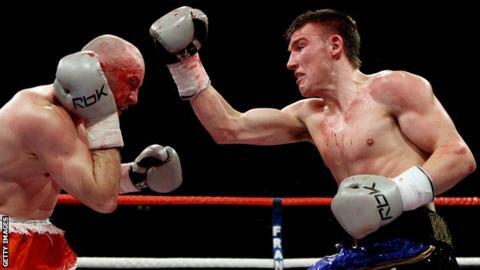 Liam Williams has won the vacant Commonwealth light-middleweight title with a first round stoppage of Michael Lomax. The Rhondda boxer secured his first professional title with victory over Chingford's Lomax in London. "I must say it feels pretty good being Commonwealth champ," Williams tweeted. The 22-year-old, trained by former WBU middleweight champion Gary Lockett, is unbeaten in 12 fights since turning professional in 2011. Lockett said Williams was in impressive form to defeat the experienced Lomax and has predicted a bright future for the Welshman. "With a little bit of luck he can make it all the way to the top," Lockett said. "I wouldn't say he's not capable of winning a world title. With a little bit of luck he can definitely win a world title. "He's the mandatory challenger for Liam Smith's British title and whether that fight can be made or not I don't know. "We'll just take it as it comes and I think Liam's ready for anybody that they put in front of him."